← An alien in the eye?! 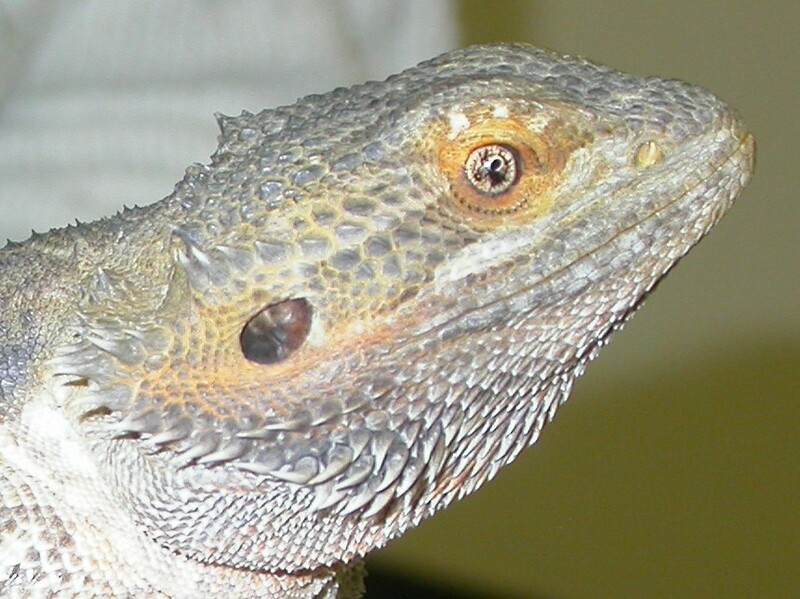 This bearded dragon has an unusual right eye compared with his left but doesn’t seem to be affected by it. What might be happening here? Here’s where a bit of magnification comes in useful! 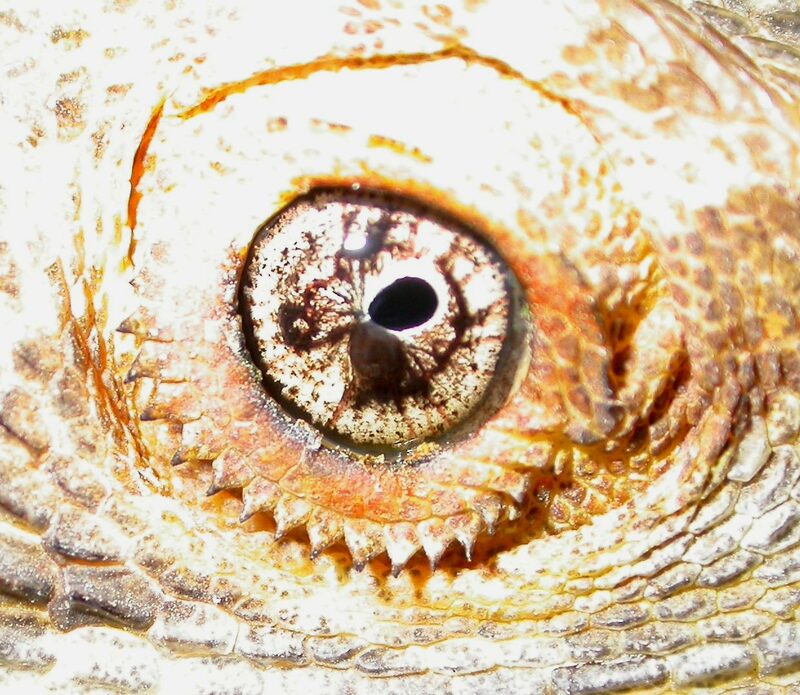 The pupil is constricted and at its lower boundary lies a pigmented mass. This could be an iris cyst or a relatively benign melanoma but I find it difficult to be sure. Ultrasonography tended to suggest a cystic structure but the minute size of the mass (less than a millimetre in diameter)made interpretation difficult. 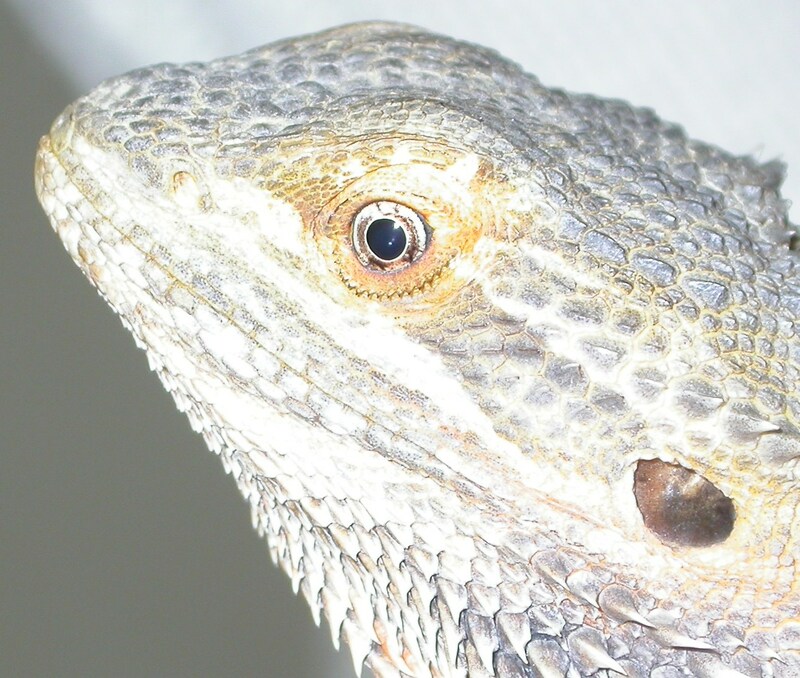 Given the small size of the eye and the lack of effect on the animal at present, surgery to remove the mass would probably cause far more ocular pathology than it removed, so for the moment we are going to watch and wait. If it enlarges over the next month or two laser photocoagulation would be my best therapeutic bet!